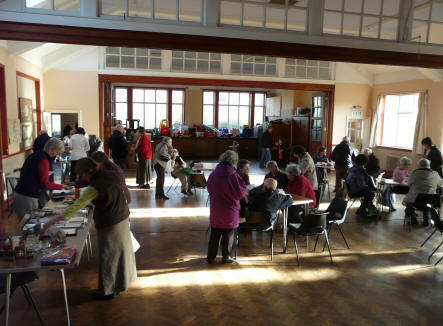 There are monthly coffee mornings held in the hall on the first Saturday of the month from 10.30 am. Its purpose is twofold - a time for informal fellowship and a way of fundraising. There is a rota of people to make coffee and staff the stall. About 35 attend including children and friends from other churches.